Over the centuries the instruments that have been played and the voices that have either sung, or narrated to music, have been a powerful force affecting the lives of many people. Music expresses emotions and ideas in significant forms and the eternal harmony in nature where rhythm, melody, harmony and colour elements contribute to creating an art of sound. Musicians today, with considered style and imagination, are producing authentic performances that make historical sense and fine entertainment. 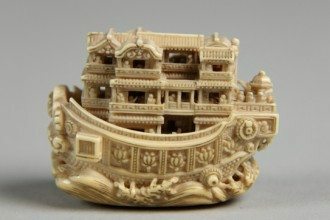 They are using gut stringed instruments alongside wind and brass instruments made of age appropriate materials and harpsichords or fortepiano’s in original disposition. There are many reasons why people like Sydney musician Jennifer Erickson are inspired to resurrect and perform virtuoso music from the past, especially works designed for a particular instrument. 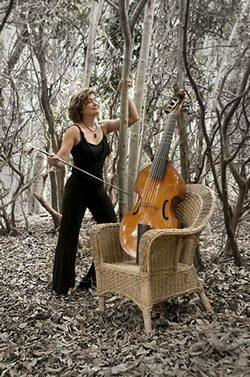 At the turn of the 21st century, to perform the complete works of early music composer Marin Marais and other works created for the viola da gamba in an Australian context, Jennifer Erickson formed the Marais Project. 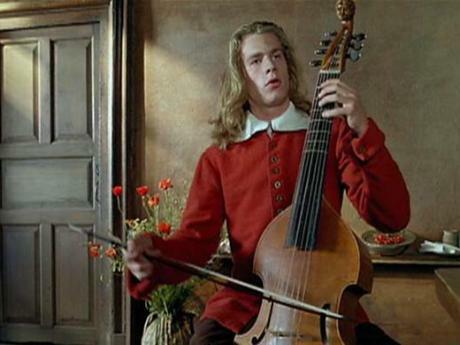 The viola da gamba is a superb instrument, one of the viol family of bowed, fretted and stringed musical instruments developed during the mid-late 15th century and used primarily in what we know now as Renaissance and Baroque periods of music. In solo performance it demonstrates clearly its mellow, soft, round tone. For Jennifer it was a 1991 French movie that started her down this new path. Tous les Matins du Monde an atmospheric, meticulously imagined life of Monsieur de Sainte-Colombe (c1640-1700) featured the music of Marin Marais (1656-1728) prominently in the film, including his longer work Sonnerie de Ste-Geneviève du Mont-de-Paris (1723). The role of Marin Marais was played by French actor Gérard Depardieu as an old man, and by his son Guillaume Depardieu when he was a young man. The film gained many accolades and awards and suddenly the compositions of Marais were once again admired around the world. 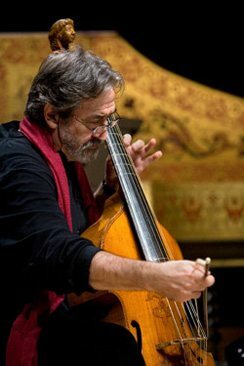 In the movie the music was brilliantly played by renowned Spanish viol player Jordi Savall, who won a César Award for Best Music. It also helped him become the main man responsible for ensuring that the viola de Gamba gained a new place in modern music. Since its foundation the repertoire of the Marais Project has been extended to also include vocal and instrumental music from the 1300’s to the present day. Being a ‘project’ rather than a fixed ensemble means that Jennifer and her supporters are free to collaborate with many of their peers, who share their passion and love of ‘early music’. The Marais Project offers a subscription and concert series to their committed group of followers of this wonderful music, originally composed for playing in intimate performance spaces that were part of a tradition in ‘sacred’ architecture, and based on the laws of harmony present in the universe. When ‘public performance’ was introduced into the music scene of the 19th century the Viola da Gamba failed to survive. Its style of music needs always to be savoured in a special and intimate space where architecture, based on sacred measurements reflects and resonates the sound. Otherwise it needs to be performed in a purpose built acoustically engineered space like the purpose built recital halls in Sydney, Melbourne and Brisbane. It was during the Italian Renaissance, from the end of the thirteenth to the beginning of the seventeenth century in Europe, the love of life so cherished by the ancients and expressed through its music, was re-established. The towering achievements of the Italians during that amazing period of revival and rebirth meant that all of Europe, as well as England was richly ennobled by Italian support for an expansion of world exploration and trade, the birth of the sciences, excellence in the arts as well as its great achievements in architecture. 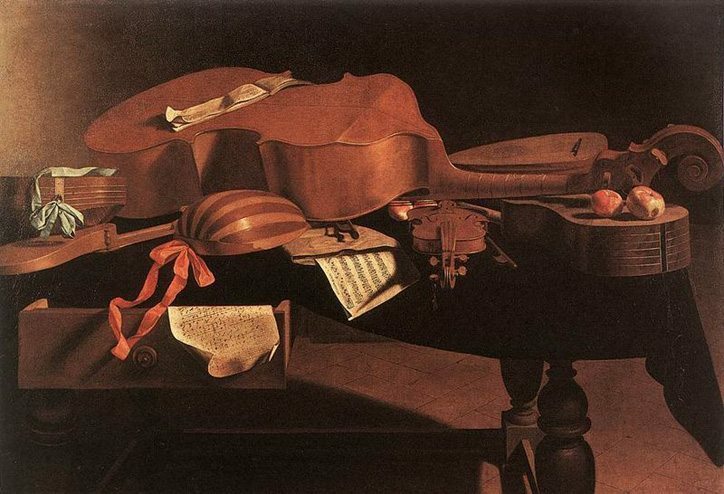 This era also heralded the arrival of a whole new era of marvellous music making so eloquently reflected in the grand manner of what is now known as the Baroque style, which gave free rein to the artist and his imagination. 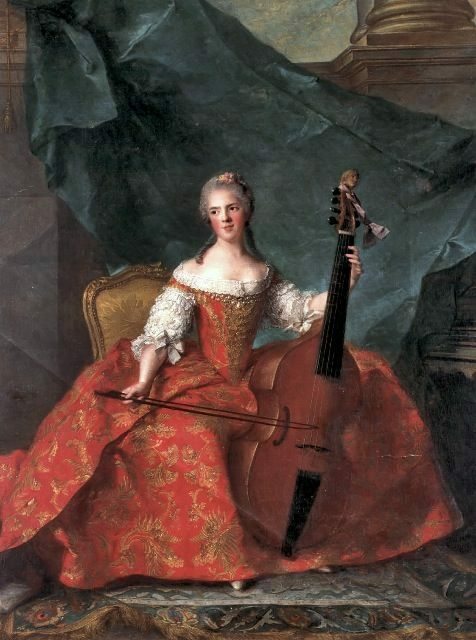 Instruments from the viol family were a particular favourite of Louis XIV (1638-1715) and so acquired associations with the French royal court at Versailles where court composer Jean Baptiste Lully (1632-87), Marin Marais’s music teacher reigned supreme. 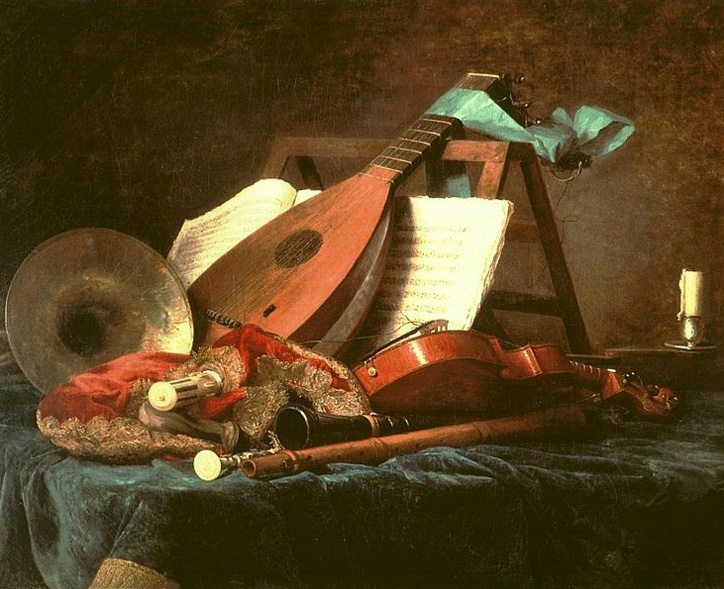 During the 17th and 18th centuries the cities of Rome, Venice and the various minor courts of northern Italy, as well as those of Salzburg, Berlin and Hamburg in the German states were all hotbeds of musical creativity and a sumptuous banquet of vocal and instrumental chamber music is available for re-interpretation and arrangement. Just as the historic Marais district in Paris on the right bank of the Seine River is one of its most captivating districts, filled with beautiful buildings of great harmony in architecture, so is the music of Marin Marais admired for its virtuosity and style. Marais became a court musician in 1679 at Versailles, where he was appointed ordinaire de la chambre du roy pour la viole, a title he kept until 1725, just a few short years before he died. If you love ‘out of the way’ music its odds on that you will love the music played by the Marais Project. Concert 1: “Six of the Best” – will take the audience on a once only journey through the rarely heard solo French baroque viola da gamba repertoire from a fascinating era in music history. Concert 2: “Lady Sings the Viol” CD Launch – “Lady Sings the Viol“, the latest Marais Project CD, brings together five wonderful singers who individually and collectively present 700 years of very special songs for voice and viol accompaniment. 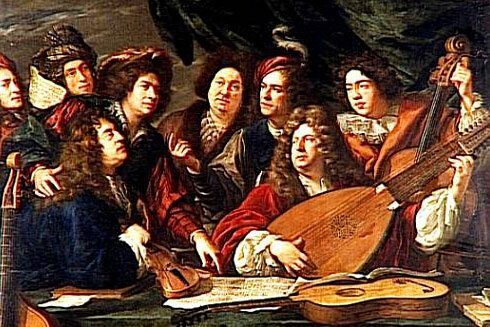 Concert 3 – “The 450th Birthday Bash: Dowland in the 21st Century” – Some 450 years after his birth in 1563 the world still cannot get enough of the great English lutenist and composer, John Dowland. This singular event features viol consort, Seaven Teares, lutenist Tommie Andersson and composer/bass clarinettist Paul Cutlan. 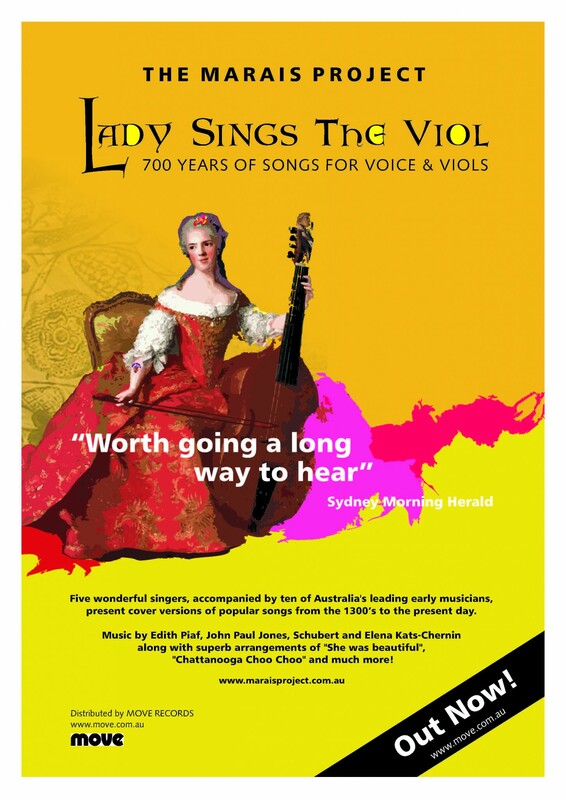 Jennifer Eriksson, Director of The Marais Project and one of Australia’s few full time professional viola da gambists, accompanied by five wonderful singers, ten leading early musicians has produced a CD ‘Lady Sings the Viol. Previous articleMr Selfridge – Shopping is Style, Glamour & Razzamatazz! Next articleAlexander the Great – Do Treasures Reveal the Man of Legend?